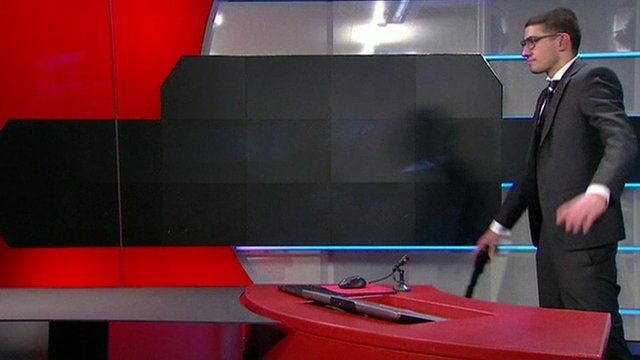 Police have stormed the studio of the Dutch national broadcaster to arrest a man, carrying what appeared to be a gun, who demanded airtime. Thursday's evening edition of the news was not broadcast. NOS later said on its website that the man threatened a security guard to get into the editorial offices in Hilversum. The suspect, from the small town of Pijnacker near The Hague, is being held on suspicion of making a threat, weapons possession and taking a hostage.